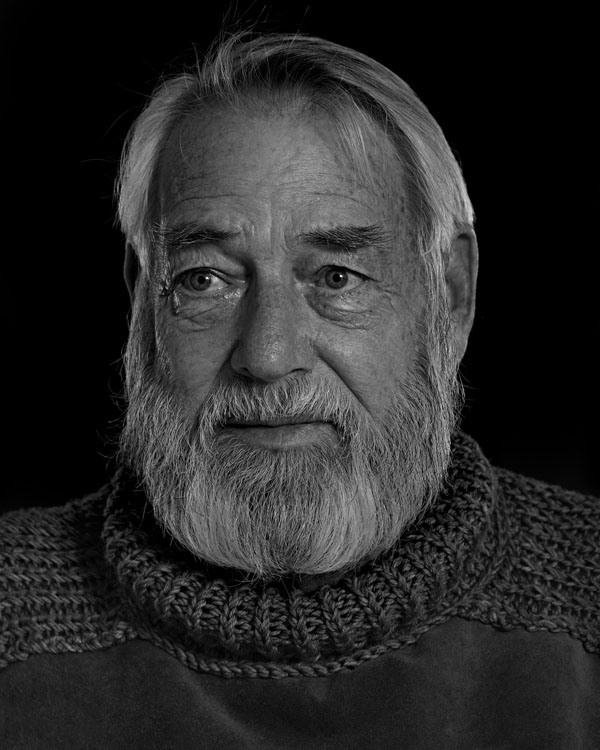 If you happened to be in Key West, Florida during the third week of July, you may have found yourself caught in a sudden and strange upsurge in the local population of white-bearded men sporting cable-knit fishermen’s turtlenecks. You may have wondered why said men were often found gathered in the streets—donning Pamplona-red neck-scarves, their barrel-shaped midriffs squeezed into white t-shirts—or in bars wrestling the arms of pitiable strangers. You may have thought to yourself, what is this? A Hemingway convention or something? Each year throughout the third week of July, Ernest Hemingway enthusiasts, or at least the most genetically gifted of them, flock to the island of Key West for the largest (and presumably manliest) look-alike competition in the world. 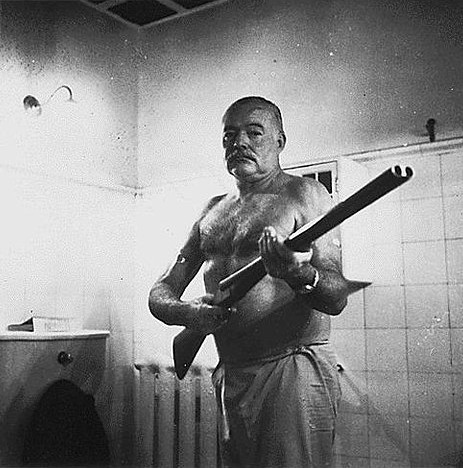 Beginning on the 21st, Hemingway’s birthday, the contest boasted nearly 150 participants this year. 150 specimens of sport-fishing, bull-running, beard-cultivating machismo. I told each sitter about the original shoot with Karsh: how Hemingway just returned from Africa and a terrible plane crash and was in agony; asked them to contemplate the amazing amount of pain he was in but the equally amazing focus he had to sit quietly for a portrait. Everything came together to take them to a place of pure expression: being Hemingway, inhabiting him; looking like, even feeling like The Man himself. Just what I was after. Sure, some of that face might have been a bit… intense. Ready to see more? 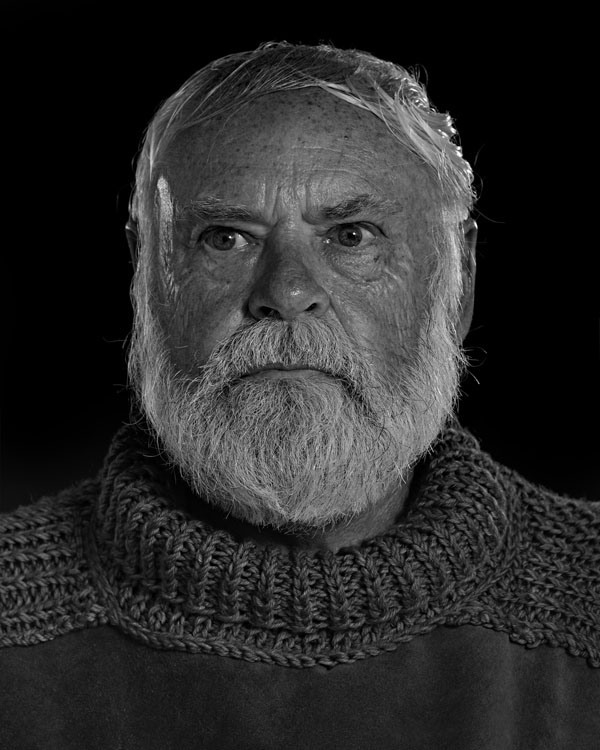 Head over to this PetaPixel article to see other contestants try their hand at recreating Hemingway’s image. 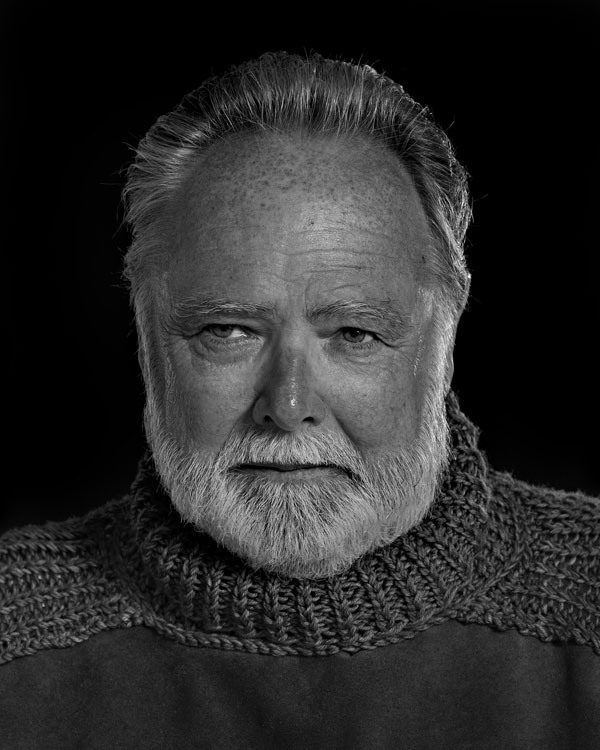 You can also find out more about The Hemingway Look-Alike Society and its charitable efforts at its homepage. 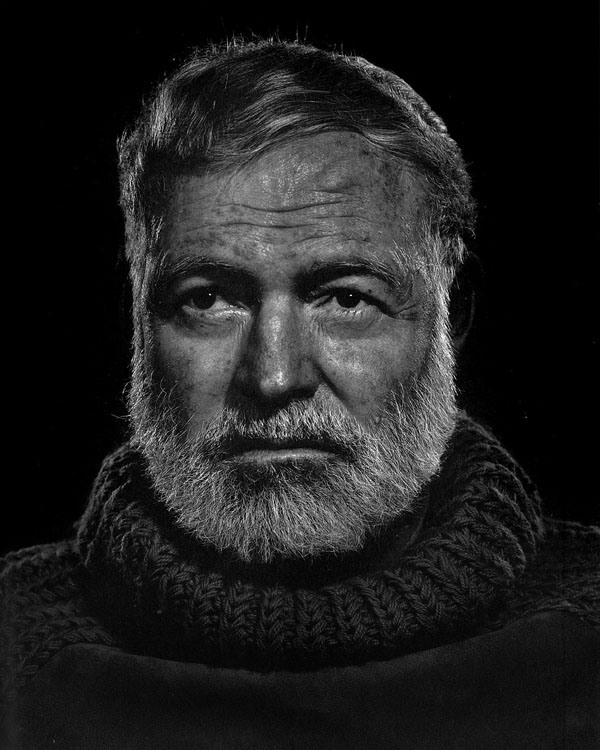 And of course, for all things Hemingway, including quizzes, study guides, and homework help on all of his works, find the info you need at eNotes.com!